20 Best Website for Travel And Tourism of 2019. Home » Best Website » 20 Best Website for Travel And Tourism of 2019. If you are a travel lover and love to travel around the world, then you are in the right place. Here is the list of 20 best Travel and Tourism website you love. This site entices you to visit the Caribbean island of Saint Lucia with images of sun-dappled beaches, luscious jungles, and happy families tempting you to whip out your passport and credit card before you’ve even clicked a link. And when you finally do navigate away from those spectacular images, it’s to uncover the country’s history, culture, night-life, nature, food, and festivals. The blog is a let-down, serving up obvious listicles and corporate-sponsored articles, but otherwise, the site’s well put together, making it as easy to tour the island’s inspiring delights as it is to plan and book a trip. South Africa is a breathtakingly beautiful country –but don’t just take our word for it; check out this new website, designed to encourage tourism to the area. This one-stop shop highlights the best places to go, the best activities to do, and absolutely everything you need to know before you travel. Watch the site’s Bakkies Stories series, a 14-partner featuring three young UK travelers on a 10-day road trip. It’s cringe-worthy marketing, but South Africa’s beautiful sights make it worthwhile. And when you’re ready to book, hit those persistent buttons at the side of the screen. Bikecation offers a one-stop solution for booking a cycling holiday. As well as letting you read up on various destinations, iconic climbs and different types of cycling trips –including charity fundraisers and group trips for nine or more–it lets you choose when and where to go from a list of bike-friendly locations. After selecting from the available flights and accommodation, you can either choose to hire a bike or take your own. You’ll then receive recommended bike routes in your inbox. It’s all very smoothly presented, although it could do with a bit more streamlining. Do Not Pay’s bots have overturned thousands of parking tickets since 2016 and it’s now taking on flight refunds. It does so by scanning your Gmail inbox for travel confirmations from past bookings to check if the price of travel has fallen. It also scans the terms and conditions for loopholes and seeks to negotiate a cheaper price or cancel and rebook. The site promises to keep your data safe but asks for your phone number, date of birth and card details. If that doesn’t put you off, the service sends you texts asking what you want to do next and keeps your interactions simple. Visit Bath’srevamped sites brings a modern look to this ancient city. As well as streamlining its navigation options by adding drop-down menus, the mobile-friendly site has a slicker search engine and makes full use of your browser’s width. It also introduces the 4K video, integrated TripAdvisor ratings and clear ways to book accommodation. Unfortunately, the previous booking engine has been dropped so you can't specify dates anymore, only your preferred star-rating, distance, facilities, and keywords. But the site remains essential for anyone looking to visit Bath. 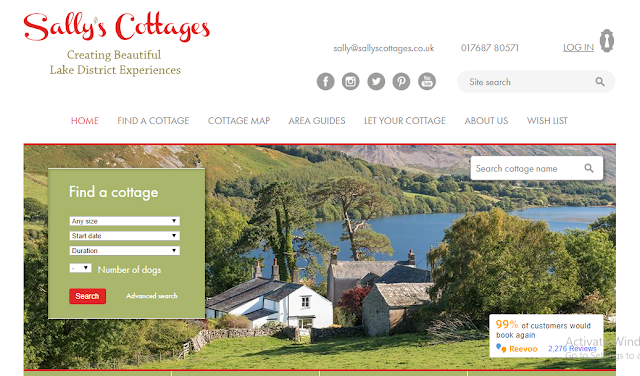 The old version of this website did a good job of making it easy to find a cottage to rent in the Lake District, providing area guides recommending things to see and do, and displaying essential info about accommodation, including reviews. So it’s good to see that not much has changed –on the surface, at least. In the wake of a £250,000 investment, most of the effort has been concentrated on making the site faster: searches are now quicker and it’s easier for cottage owners to manage their bookings. Sally’s blog also remains personable and fun. There’s no faulting the naked ambition of this site, which is dedicated to helping you find naturist-friendly accommodation across the world. Boasting a cheeky logo and carefully shot photos, it features holiday homes, resorts, campsites, and private rooms, and a simple search engine to nail down the best dates. Each property is well described and accompanied by images, along with a comprehensive breakdown of the costs per night and the various facilities on offer. The site includes a series of articles that cover house rules and etiquette. Owners can be contacted directly and you can also submit your own property. If you’re willing to forgive the name, Glampingly is an excellent new site for those seeking the Great Outdoors experience without the discomfort. Enter the UK or European destination, decide on a glamp-site and choose your preferred accommodation –shepherd’s huts, tree houses and even a converted a helicopter is available. So far, so easy, but unfortunately the booking the process isn’t as straightforward as it could be, and at first glance, it seems to send you round in circles. Once you’ve got your head around it, though, booking a weekend away is simple if a little pricey compared with a humble tent in a field. Emirates Airline has unveiled the world’s first3Dcabin. Both VR- and desktop compatible, the online experience sees you climb aboard a virtual Airbus A380, no passport required. Swing your mouse across the screen to tour Economy, Business and First Class cabins, clicking the information points to learn more about what’s on offer: not only do you discover that the open the onboard lounge is designed for mingling, while every seat packs a USB port for your mobile, but you can even check out the range of toiletries in the First Class shower spa and see how everything looks when the cabin lights are switched off. Like a good holiday, it’s so chilled and enjoyable that Emirates even makes getting squashed in Economy seem luxurious. Transfer Travel calls itself ‘the eBay of travel’ for obvious reasons: people sell their holidays, hotels and flights, and you make an offer, buy it now or simply keep an eye on the listing. Still very much in the start-up phase –it only launched two years ago –the revamped site looks and feels slick, but many basic UK-to-Europe searches we tried triggered zero results and it lacks the catalog of listings necessary for its user-generated content. What listings there are could do with a few more images, too, to compete with other holiday and travel sites. The site charges a 15% commission on all sales. Taking a trip around Britain by rail can be a frustrating and expensive experience, but Faremap makes navigating UK railways cheaper and easier. Web design has never been so sparse –just toggle the ticket types and search for your departure and destination stations to find the best deals. Available tickets are presented alongside a map color-coded by cost. Not every a ticket is worth it – in one test, traveling from Oxford to Lancaster, we could have saved £21.40, but only by jumping on nine separate trains. Although we’d like to see more public transport added, Faremap can still save you a few pennies. If you’re planning a city break in North America or Europe, this site–created by Google’s ideas incubator, Area 120 –lists the top sights, guided tours and activities in each destination dishes out local tips and bundles together attractions to suit a wide range of interests. Each guide is compiled by expert teams and includes a selection of interesting facts, breakdowns of what’s included in an activity or tour and, for those wishing to book an attraction, a clear description of the cancellation policies. Activities can also be filtered, but be aware that the site operates in the US dollars only. Bracketed by Sherwood Forest and loaded with heritage, the ancient the market town of Mansfield lies in the heart of Robin Hood country and is an ideal tourist destination for those on the trail for the heroic outlaw and his Merry Men. Sadly, this promotional website doesn’t always manage to execute its ideas well, so although you’ll discover attractions galore in the Explore section, and photos and videos in the Media tab, we’re not sure that hi-res images of the local bus station is the best way to attract travelers. The site itself also feels a little outdated and basic. Famed for its Roman salt mines (and, today, it's Salt Museum), the post-industrial town of Northwich lies at the heart of Cheshire. This new tourist site dubs it ‘a destination with a difference’ –the difference being that it’s probably not the first place you’d think of holidays. The website does a great job of promoting Northwich’s fascinating history, heritage, and highlights, with the What’s On section and Inspire Me blogs (bit.ly/inspire462) especially worth a read if you’re planning a visit. It’s not the flashiest site on the web–but it’s all the stronger for it. Northwich, after all, isn’t Las Vegas. It’s a charming town with a rich story, and its website ably reflects that. It’s the task of tourism chiefs to milk their region’s assets, and Guernsey’s revamped website not only promotes its world-renowned cows but its beautiful waters, sandy beaches, secluded coves, castles, ancient burial sites, and wider history. Here you’ll find places to stay, walking routes and various lists of things to see and do. You can also read an online magazine, gaze longingly at scenic photos and view a map showing the location of accommodation, restaurants, and sights. With important travel information as well, it’s a comprehensive offering that caters for all tastes. Many English cities, from Manchester to Bristol, are steeped in fascinating history, but this new site focuses on more picturesque examples, jamming its pages with lavish descriptions, key sights, and beautiful images that will have you packing your bags in no time. The 16 locations –which include Bath, Canterbury, Durham, Lancaster, and Cambridge –including suggested itineraries, complete with the number of stops and the days you’ll have to spend. Some cities are grouped by location and theme, and you can explore further by clicking links to most cities’ tourism sites for details of where to stay, eat and drink. 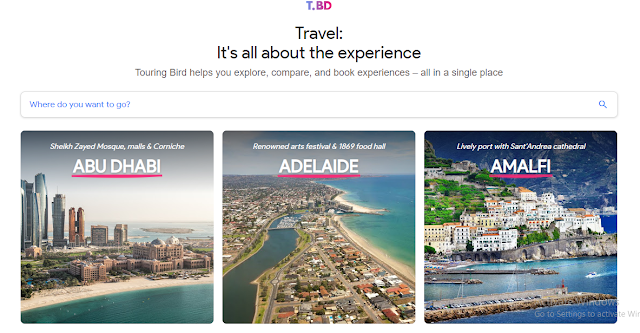 Like a summer tan, TripAdvisor’s stodgy, boxy design has faded away. In its place is a site that takes more than a pinch of inspiration from social networks such as Facebook and Twitter, which makes sense in this social-media age, where holidays are as much about Instagramming experiences as getting some R&R. Pick a destination and explore user-generated photos and videos, alongside reviews, restaurants, and unmissable things to do. The redesign makes for a more engaging scroll and like the featured destinations, TripAdvisor is now a place you might actually want to visit –and not just to leave a snarky review! 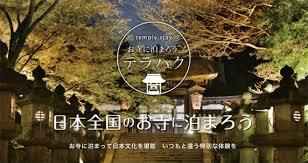 If you’re visiting Japan, staying in a temple or shrine can both save you money and give you peace of mind. With Zen meditation, waterfall training, yoga and tranquil tea ceremonies to enjoy, it beats laying your head in a generic hotel. Terahaku helps you find temple lodgings by typing an area, city, temple or experience into the search bar, or clicking one of the suggestions on the homepage. There area around 100 temples on offer, but poor descriptions and photos, as well as a cluttered reservation page, making for a frustrating experience. Unless you happen to live in the area, you’ve probably never heard of South Kesteven in Lincolnshire. This website seeks to change that with a flood of helpful tourist information: the usual accommodation and food &drinks pages are here, but so are details on local market towns, outdoor activities, and even parks and playgrounds. Check in with the incredibly useful events calendar, then load up the car –and your itinerary –for a visit. The site can be a tad slow to load, but maybe that’s just down to the relaxed pace of life in this beautiful corner of the world. Sun-soaked images of pretty vistas hint at untold adventure on Visit York’s newly invigorated tourism site. Steeped in its rich history and at ease with its contemporary side, York is pitching itself as a city-break destination to rival Amsterdam and Edinburgh. The main difference is that it’s now much easier to find and book every stage of your visit from a single section on the homepage –though it’s worth fully exploring this tourist goldmine where indie shops and selfie trails vie for your attention. The stand-out feature, however, is My Adventure, which lets you click the love-heart icon next to any attraction to add it to your comprehensive digital itinerary.